Red Lion’s Sixnet® series SLX-8MS managed Fast Ethernet switches feature eight ports with up to four fiber ports and Modbus monitoring, providing reliable connectivity in harsh environments. 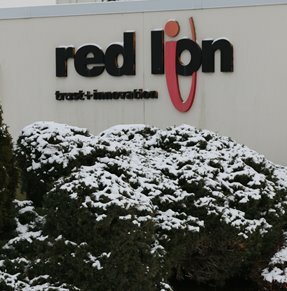 Red Lion’s E3 I/O modules provide a robust and reliable platform for local and distributed monitoring and control of processes and equipment in harsh industrial environments. 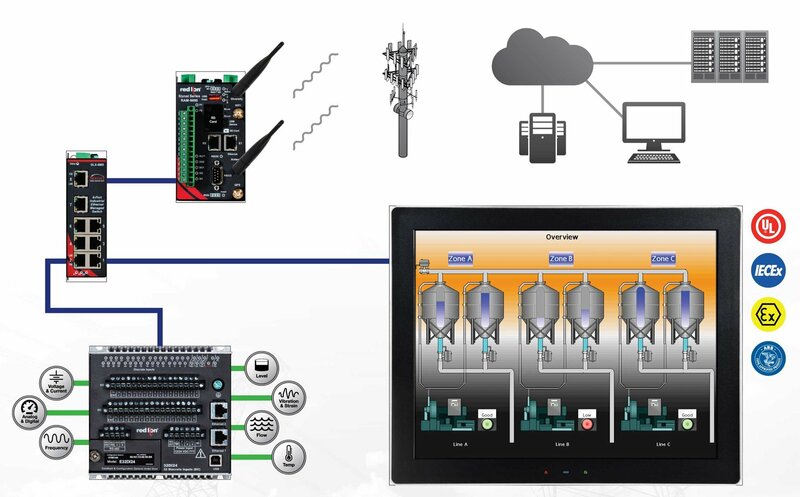 The Graphite® operator panels are the industry’s first rugged HMI touchscreens to combine I/O modules with protocol conversion, data logging, web-based monitoring and IEC 61131 control capabilities.